If you are just stopping in, I decided to join in as a guest participant in the One Room Challenge, created and hosted by Linda from Calling it Home and House Beautiful as a partner. I used to be a featured blogger way in the beginning of the ORC before it exploded! The room I am revamping is my son's old bedroom. You can read about week 1 here. All the kids are out of the house (for now) and I need a space dedicated for my sewing. Hoping to open an Etsy shop really soon, I need a place to create! Since we are renting our home (still.....ugh) I can't renovate but only use fabric, paint and accessories to transform this space! This week I painted the walls and ordered fabric and artwork. 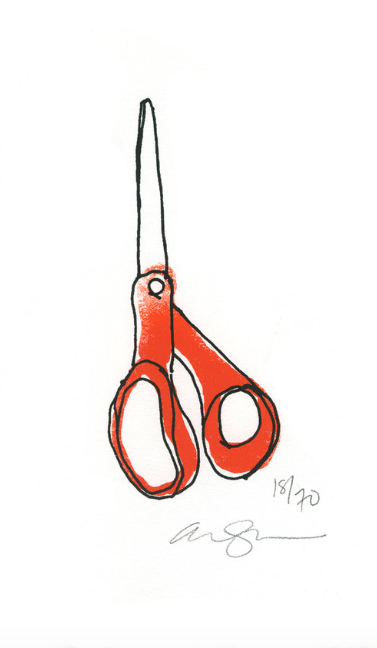 The scissors print has been on my wish list since I discovered Alanna Cavanagh at least 10 years ago through House and Home magazine. Finally she has prints that us poor folks can afford to buy! She was kind to sponsor me! This print, along with the image below, are the inspiration behind my room. 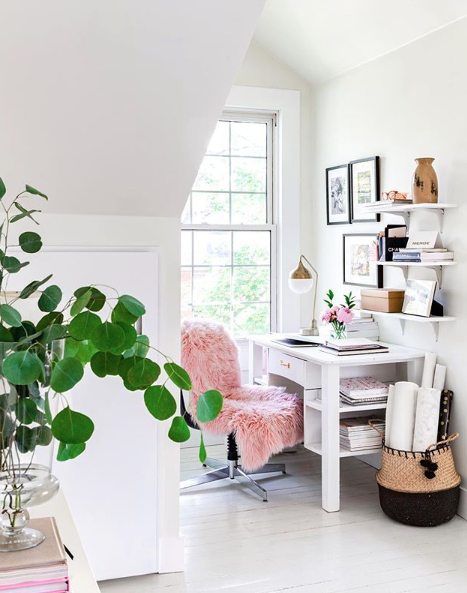 It's not a sewing studio but this room has the feel and look I am going for! paint floral mural on wall and corner, maybe? Follow along with my ORC adventures on Instagram or Instagram stories! You can find me using #oneroomchallenge. Be sure to visit the One Room Challenge blog to see what others are up to!